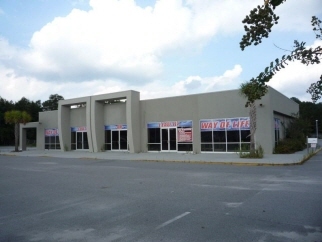 **Available for lease*** or ***build to suit*****Located on the corner of Trolley Rd and Jamesion Rd in Summerville, SC, commercial site has endless potential. Total road frontage is 817 FT, 475 FT on Trolley Rd and 388 FT on Jamison Rd. Level, lot with curb cuts on both sides. Plenthy of paved parking Could be church, gym, spa, restaurant, entertainemnt, or automotive related. Great daily traffic count, and great demographics of surrounding area. Average age is 40 years old, with incomes rising and population increasing.